"The only thing constant is change. This album is a testament of a new day, a new chapter... a new journey. A journey to the Holy Temple!" All aboard? 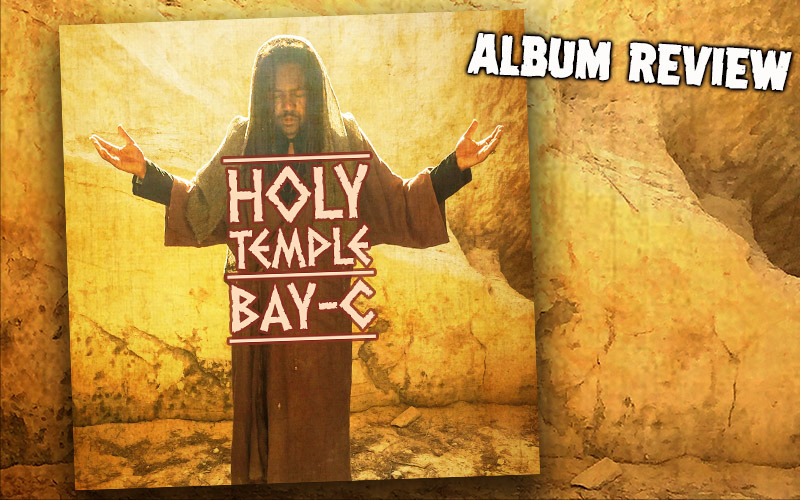 Roshaun Clarke aka Bay-C invites us on a trip to discover the music and message of his debut album Holy Temple. After, in 2015, he announced the launch of his solo career and blessed the world with the EP Better Must Come one year later, we now witness how serious this artist takes his chosen path. Holy Temple has been in the making for years. The title track, for instance, was written back in 2012 and sets the frame for the prevailing mood of spirituality and lyricism. Produced by Bay-C’s very own label Bombrush Records, it’s in good company: the sensual Sahara Queen, Not Forgotten and Hero have all originated in its creative belly, and the latter clearly carries the mark of the artist’s T.O.K. schooling days. The melodic opening track Catch That Train is a co-production of Bombrush Records with German Dancehall Rulerz, while Frankie Music has supplied the beats for the intense Run From Poverty and US-based Willy Chin brings his sunny Florida vibes home in Love Potion. A special surprise is the track Poltergeist, with innovative beats by a young Berlin producer called Dead Rabbit on which Bay-C both sings and rasps about the injustices and imbalances of the world we’re living in. Another gem of the album, Heart Of Men (produced by Royal Order Music) has a powerful, laid-back Roots-beat with a strong focus on drums and, along with Bay-C’s powerful vocal delivery, can be seen as one of the musical pillars the album rests on. Finally, My Love Away (another production of Bombrush) strikes some softer notes and plays with middle eastern sounds that mingle well with the art-work sprinkled in by Margos (and the cover-pictures taken by Roshaun’s Dad!). The accompanying press release promises a video for each of the ten tracks, filmed on as different corners of the world as the Negev desert of Israel, the Alps in Germany and the shores of Jamaica, as the first released video Run From Poverty already shows. Shot in Kingston, it depicts the hard living conditions of poor people, in a way though that makes the pride and dignity of them shine clearly through. Holy Temple keeps the promise that its predecessor Better Must Come made. It’s a fine-tuned piece of music that makes us see another, more mature side of Bay-C, and even though it's not as Roots as the title might suggest, the journey is definitely a rewarding experience.